“About one-eighth of the population was Christian in the 1980s; more recent estimates put the proportion of Christians at about 32.6% of the population.” It is mostly practiced by people in the middle class and in urban centers of the south. Most prevalent among the Agni in the southeast, and least among the Mande of the northwest. Roman Catholicism is the largest Christian religion practiced there. 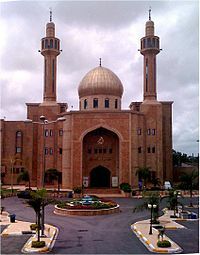 Islam and Christianity have been adapted to many of the indigenous religions in Ivory Coast. 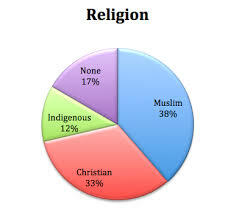 “Most widely recognized among these syncretic religions are numerous offshoots of Harrism along the coast, where new prophets, preachers, and disciples blend traditional beliefs, Harrism, and modern-day political advice to help deal with the problems of everyday life.” Syncretic religions are more common among minorities. 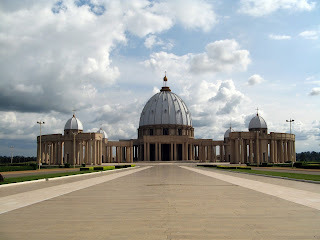 There are instances where a group of people are practicing Christianity, but the neighboring group of people is practicing a syncretic religion.